Our Post & Beam solid wood bunk bed begins with thick vertical beams to form a solid foundation. 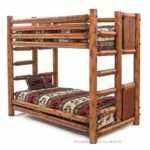 Horizontal posts make a sturdy framework for a solid wood bunk bed that will last for decades. The wood is solid cedar – no veneers are used in this bed. The beams are rough sawn for a rustic character. 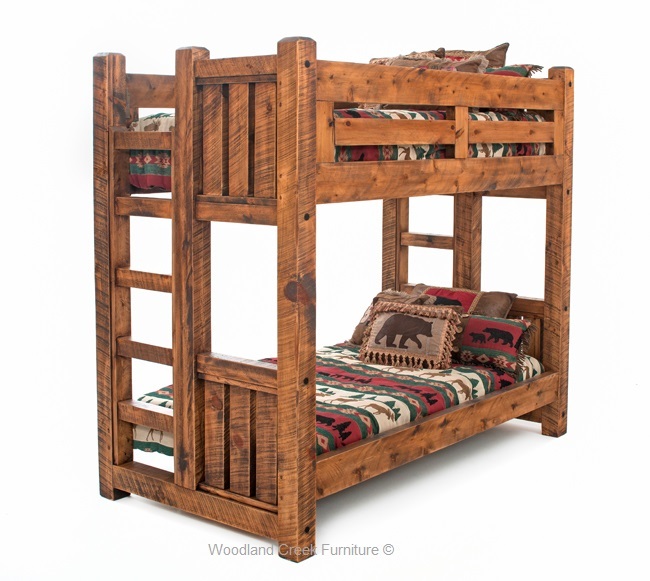 This solid wood bunk bed is not only well built and sturdy, it is also a beautiful design. This bed will handle the abuse kids dish out on a daily basis. 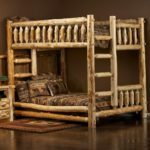 It is also strong enough to hold full-size adults in a bunkhouse, cabin, lodge or ranch retreat. 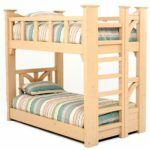 Our Post & Beam solid wood bunk bed is available in a variety of sizes including twin over twin, twin over full and full over full. 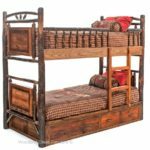 This solid wood bunk bed can also be ordered in a variety of finishes. Our expert finishers have developed several trendy colors to fit today’s popular color trends. You may select from rustic barnwood, weathered gray, American chestnut or honey. This solid wood bunk bed looks great in any color. You will have a difficult choice of picking the one you like best. Matching dressers, chests, and nightstands are also available. Also, let us know if you need optional bunk boards. These are also available.